Its been a really cold miserable May where we are. Not many frosts, but not much of increase in temperature either. 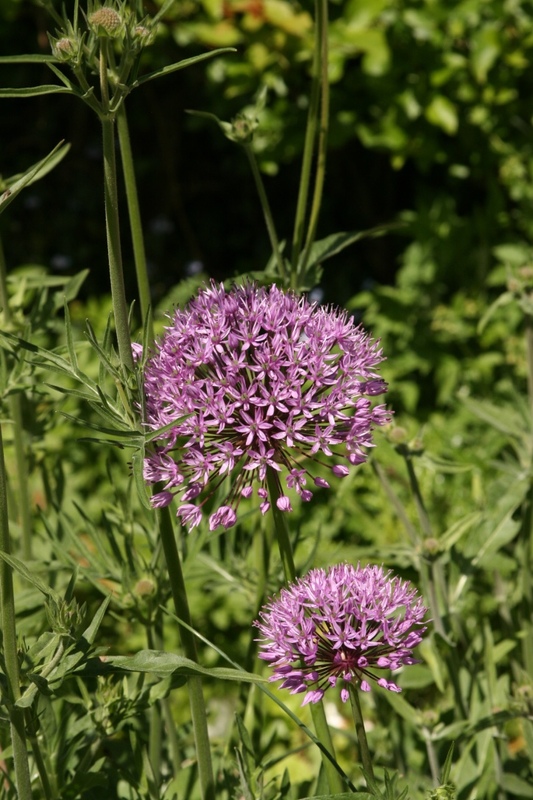 This week has had huge rain showers, interspersed with bright sunshine – but it’s still not warm! My garden knows it’s not warm enough either. 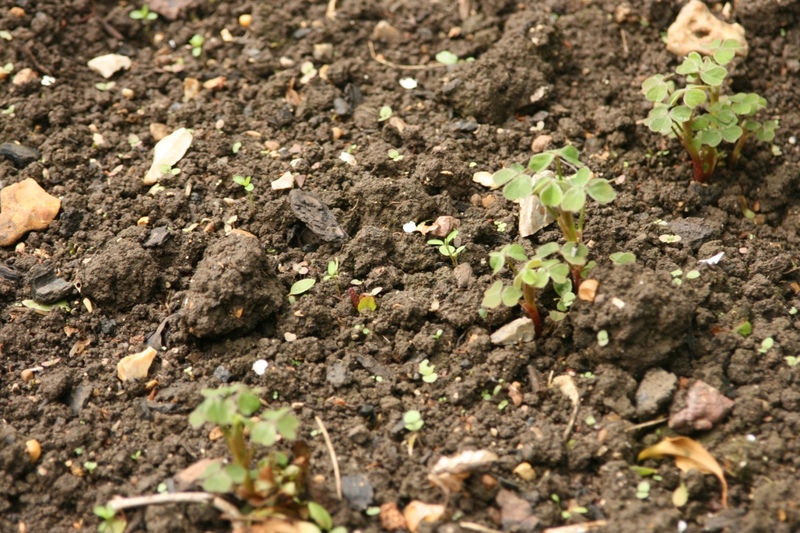 None of the seeds I’ve planted out directly in the soil have germinated at all – and it’s only this week that the good old weeds have started showing their annoying little heads! 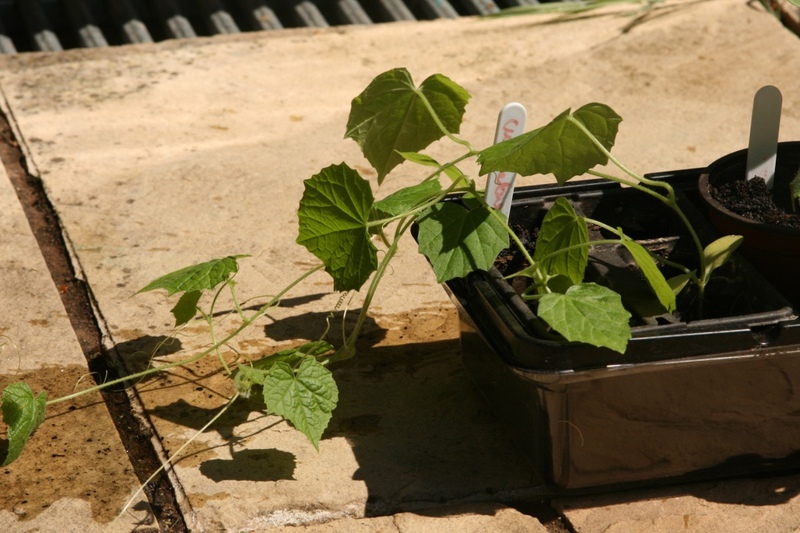 But The New Zealand Yams – an alternative to potatoes that are blight resistant – you can eat raw or cooked are finally putting in an appearance. 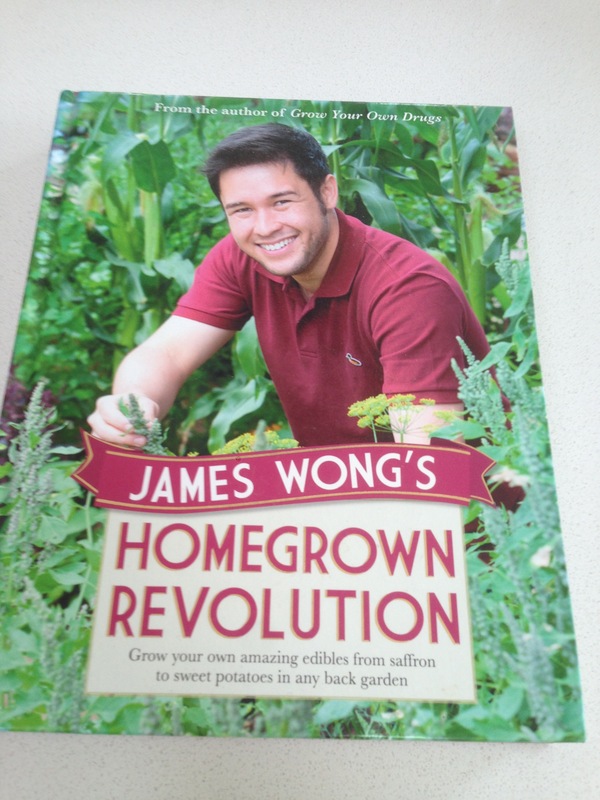 I read a great book by James Wong – a UK/ Singaporean who has worked out what to grow best in the UK climate – and these little things get his thumbs up. I went to a talk he did about growing your own, and the cost of potatoes compared to the supermarket etc. 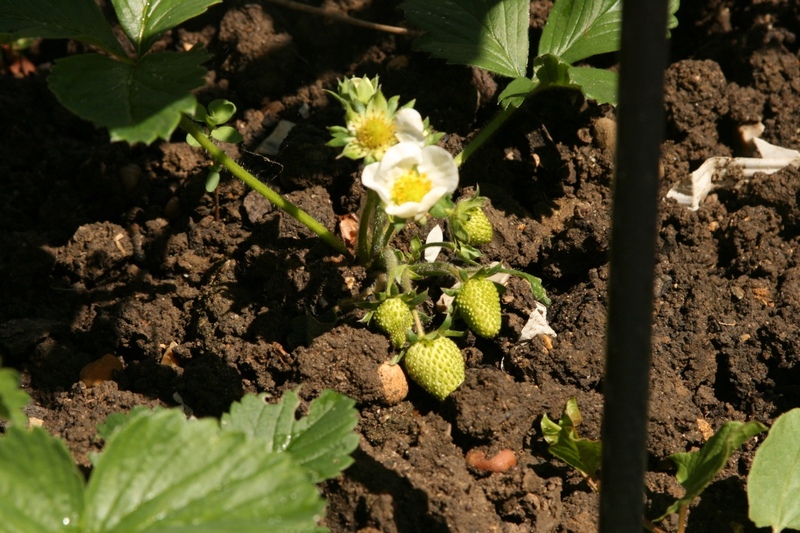 It was really good, and made me think a lot about what crops to plant. There’s no point growing carrots when you can get them from the shop 30p a kilo! 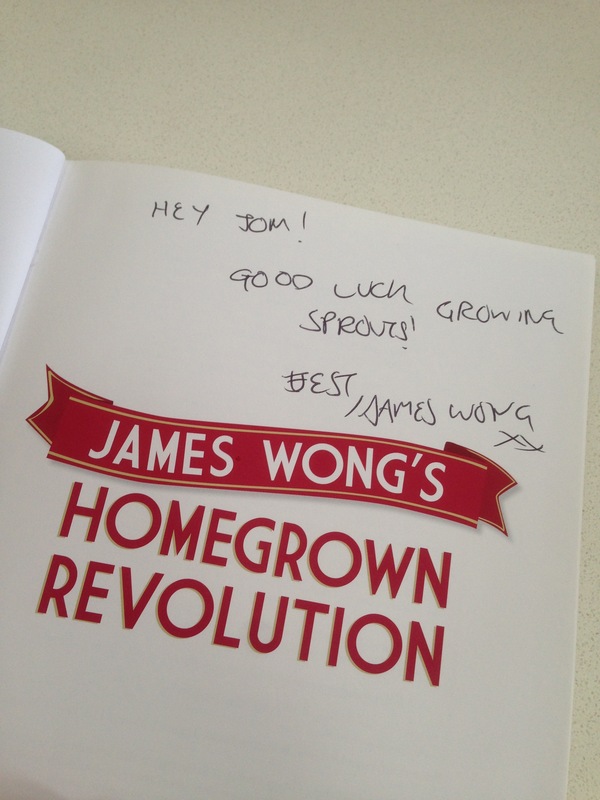 He even signed the book for my husband who was intent of growing sprouts for his Christmas dinner! I think we got maybe 10 sprouts from 3 plants and the chooks had the green stalks! 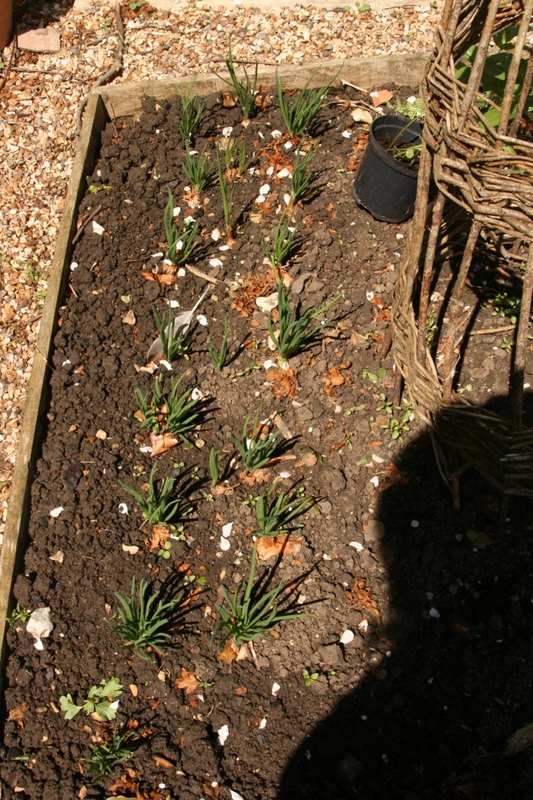 The shallots (planted a little too late) are showing signs of life too, and I’ve just put in some Zinnia seeds next to them to see if I can get some colour too. 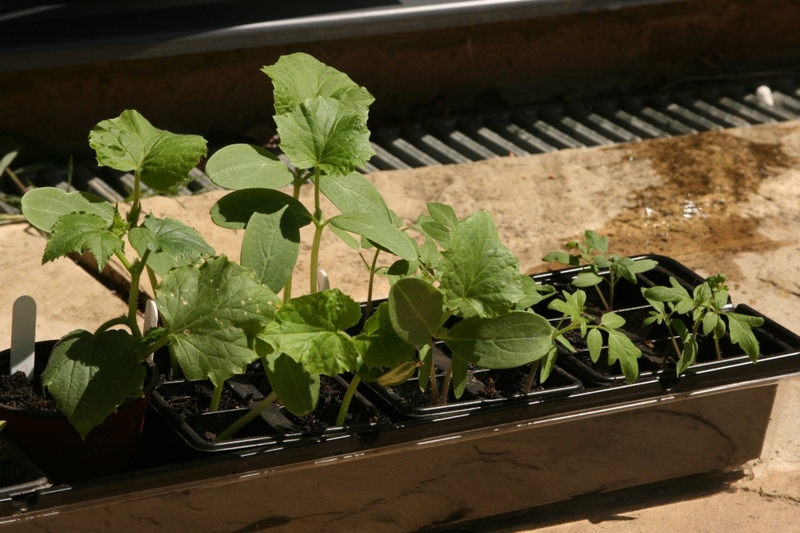 The seeds in the greenhouse are currently sat on a raised bed trying to acclimatise. 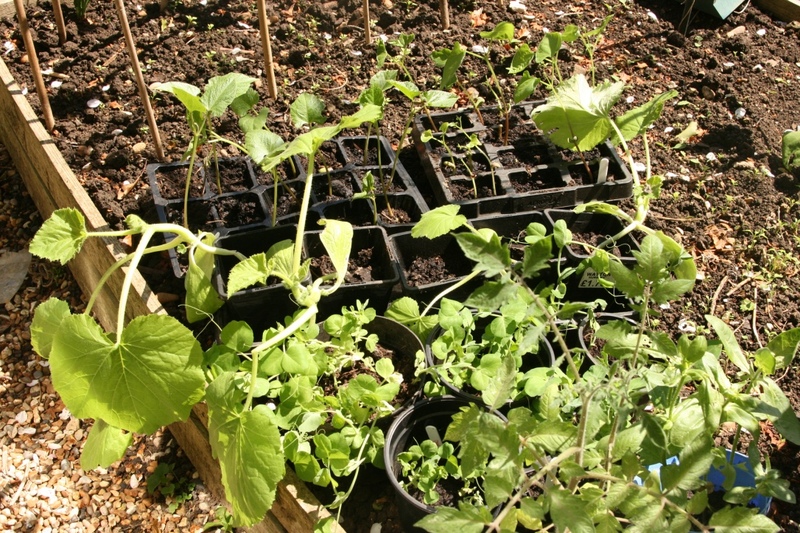 Tomatoes, peas, beans, and the huge leaves are my favourite “Trombochinos” Like a courgette if you pick early, if not it turns into a butternut squash colour and taste. 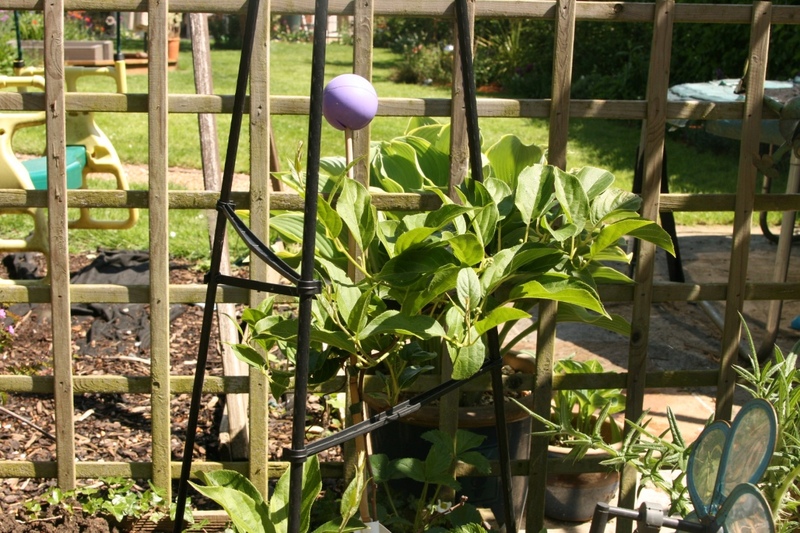 We grew them last year too – the biggest one ending up about 1M in length. It made 4 different batches of soup! I’ll save a photo for a later post. 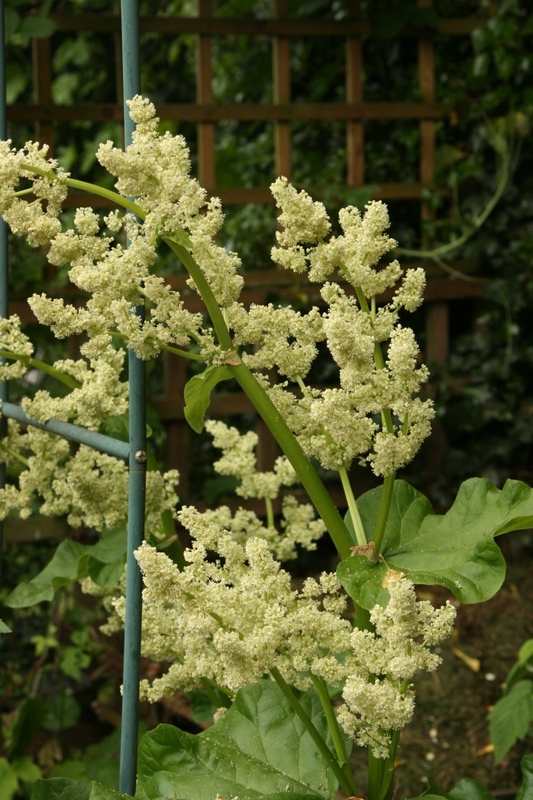 The rhubarb has decided to flower, something I’ve never seen before. 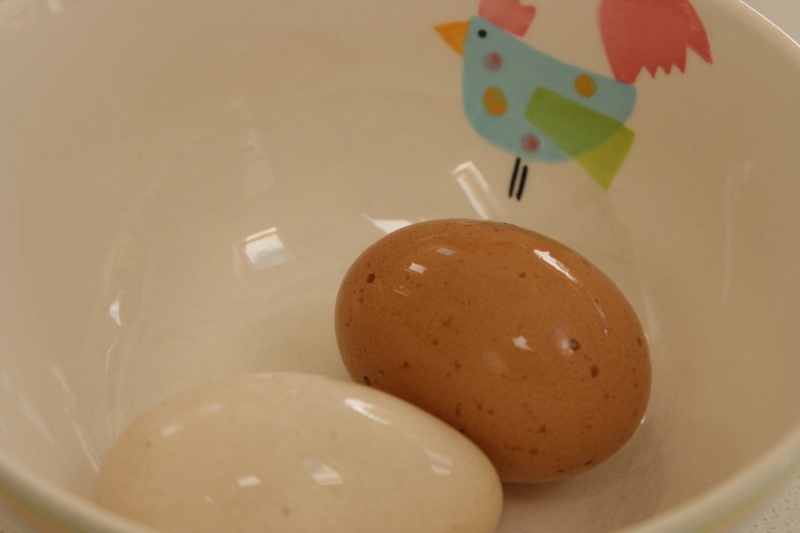 As does the cocktail Kiwi – in James Wong’s words – natures Haribo! I can confirm that all of the 6 little fruit we got last year were delicious! 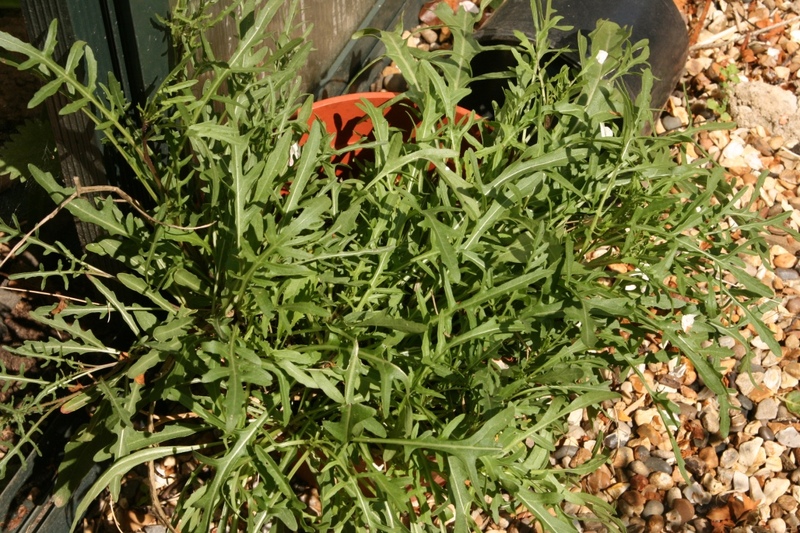 I’ve got self seeded rocket that tastes delicious. 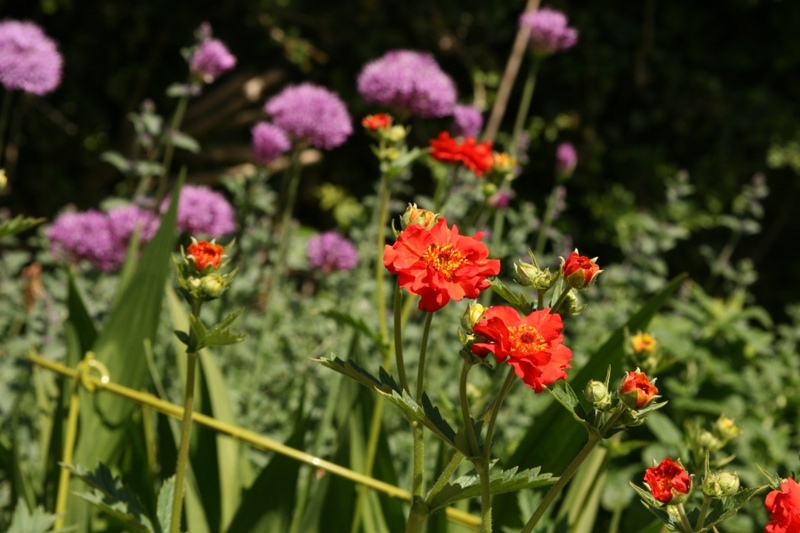 Flower wise, there still a few tulips hanging around, but finally some nice colour in the form of the Geums and Alliums. 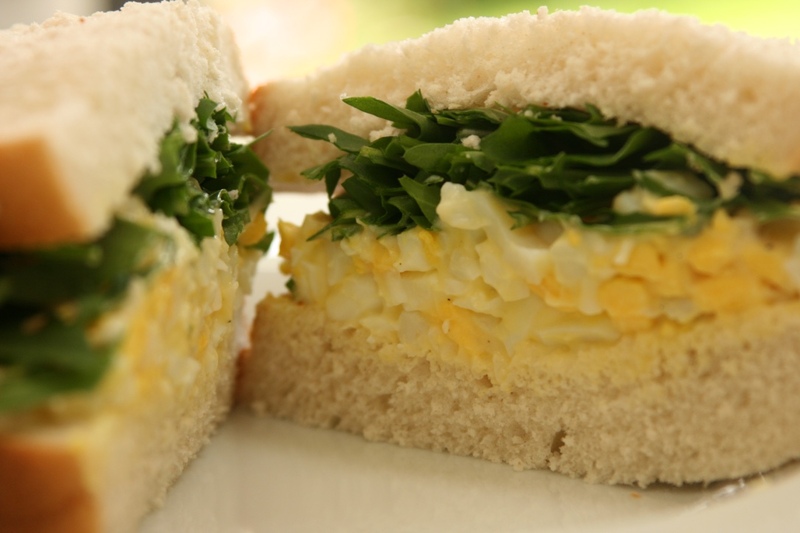 The chooks are laying nicely,and with self seeded rocket what else could I have for lunch but an egg sarnie! Open garden...... and now relax! Previous Post I lost my Crojo!